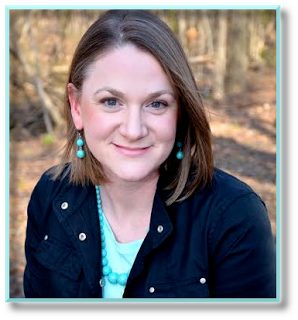 I'm delighted to welcome Marnee Blake back to The Romance Dish today! 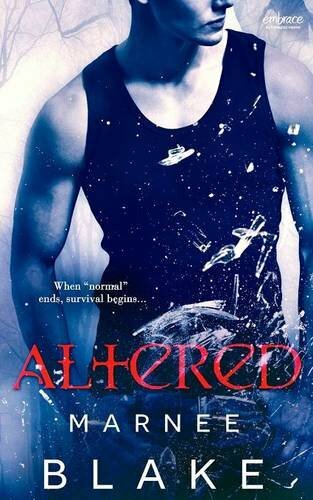 A lot has happened in Marnee's world since her last visit when she was celebrating the release of her debut novel, ALTERED. 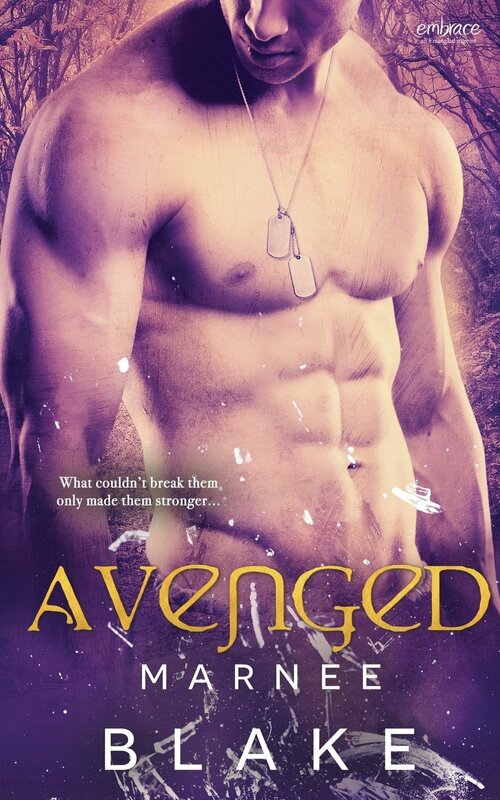 Today, she's here to celebrate the release of her second novel, AVENGED which continues the story begun in the first book and, once again, delivers a fast-paced, edge-of-your-seat story that I could not put down. For more information about Marnee and her books, visit her website and connect with her on Facebook, Twitter, Pinterest, and Goodreads. Welcome back, Marnee! The last time you were here, your debut novel, ALTERED had just been released. Now that novel is a RITA finalist! Congratulations! Please tell us about receiving that news and what the RITA journey has been like so far. Thank you for having me, PJ! I’m so excited to be here! Yes, ALTERED is a RITA finalist for Best First Book, and I’m so incredibly honored by the nomination. It’s so humbling to have other writers read your work and enjoy it. Getting the RITA call was one of those surreal moments. My call came early. One of the 2015 Golden Heart finalists who is on the RWA Board had just finished telling the group of us that calls weren’t supposed to start for another half an hour. So, when my cell phone rang, I thought for sure it was Rachel from Cardholder Services. I was incredibly surprised to hear Shirley Jump on the other end. There are three other First Book Finalists from the 2014 Golden Heart class, and I’m incredibly honored to be part of the group. I really think being nominated is the real win when it comes to the RITA and the Golden Heart. readers expect from this new book? I think that if a reader enjoys fast-paced, action-packed, romantic tales, I think they’ll like my series. There’s the same tension in AVENGED as there is in ALTERED, with lots of bad guys of different motivations, and two characters that I came to love through the writing of the story. Kitty was hard for me to write because she is incredibly introverted and reserved, and after she’s put in such a horrible situation, she feels lost at the beginning. It was difficult to reach deep for what she might be feeling, but I came to appreciate her quiet strength through the book. And Nick? Well, I’ll admit that I fell for Nick as I wrote him. Le sigh. Does AVENGED stand on its own or do you recommend reading the two books in order? I, personally, would recommend reading ALTERED first. I think that readers could probably piece together Kitty and Nick’s story, but I think it benefits from reading it in order. As also happened while reading ALTERED, the story within AVENGED unfolded in my head like a movie reel as I was reading. (We really need to let Hollywood know about these books!) If you were casting this book for a movie, who would play the roles of Nick and Kitty? I pictured Alexandra Daddario as Kitty. I think she has the right eyes, clear eyes that seem to see everything. And Nick? DJ Cotrona was my initial inspiration for Nick. He’s not very well known, but he had roles in GI Joe: Retaliation and Dear John. He’s got the swagger of Nick. When you were here in December, you stated that only two books had been planned for this series. Has that changed? After reading AVENGED, I’m sure I won’t be the only one begging for a story for Luke! Kitty has to dig deep and step way outside her comfort zone in AVENGED. How have you stepped outside your own comfort zone? I’m making a list of books to fill my lazy days of summer. What books are you looking forward to reading? Let me see… I’ve currently got a full Kindle, waiting for my poolside reading. I’m waiting on Pintip Dunn’s upcoming YA, THE DARKEST LIE. Also, I’ve been so busy this spring, I need to catch up on my other YA reads…I haven’t read THE SIX OF CROWS by Leigh Bardugo yet, or PASSENGER by Alexandra Bracken. I’m looking forward to lazier days to get caught up and fill the well. Now for the really important questions. Have you bought your RITA dress yet? Picked out some fabulous shoes? Do you have a photo you’d be willing to share? What’s coming next from Marnee Blake? I’m working on a YA right now, a story I’ve been working on for a year or so. I’m excited about it, and hope it finds a home. Thank you for visiting with us, Marnee. I wish you all the best with your new book, AVENGED. I’m not attending the RWA national conference this year but I’ll be cheering for you and ALTERED when the RITA winners are announced in San Diego on July 16th. Thank you, PJ! And thank you for having me! It’s always so much fun to spend time with you guys! Would you like to ask our readers a question today? I loved PJ’s question above. Can you tell me one time you have stepped out of your comfort zone? I’ll give away a $5 Amazon giftcard to one lucky commenter! When I was 16 (and my parents were away on vacation while I had a summer job), I "dared" to walk downtown in our small town on a Saturday night (in my baby doll pajama top tucked into cords). Down against the wall behind a grocery store, I found a girl around my age, crying. I squatted down to ask what was wrong and if I could help. Next thing I knew, her boyfriend joined us. I slowly rose to my 5'10" height (he was about 5'7"), refusing to leave at his request. The girlfriend begged me to leave and I eventually did, but I kept a distance until convinced she was as okay as possible. 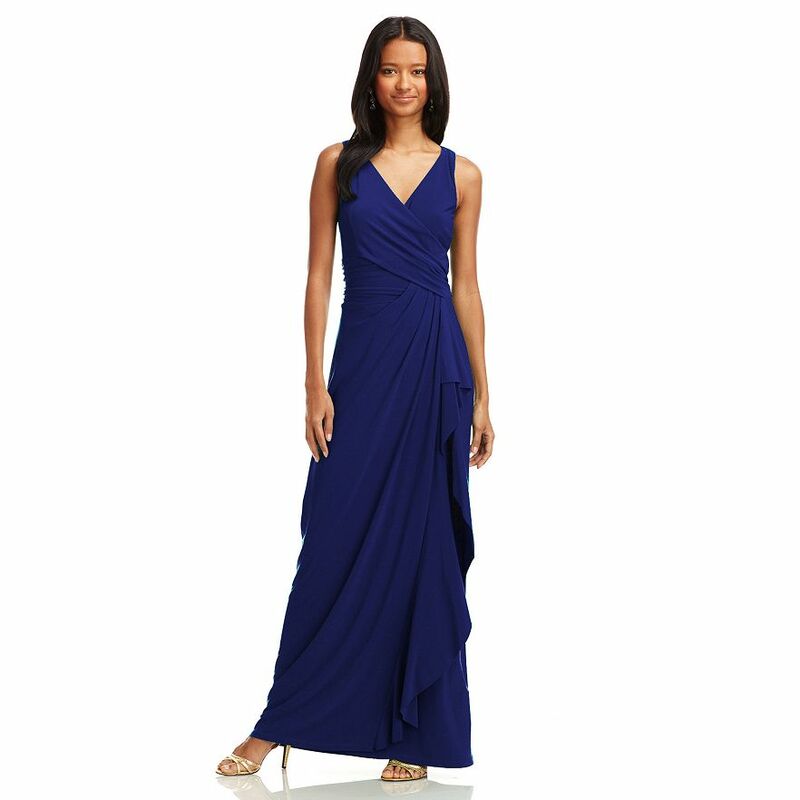 BTW, I bought a similar dress (same colour, same wraparound-looking skirt), but it had rouging throughout the bodice and was strapless. I looked and felt wonderful in it, and I'm sure you will too. ENJOY! That took a lot of courage to step in like that when you were only 16, Laney. I hope for that woman's sake that it wasn't as bad as it appeared. Laney, I bet this was so scary! It took a lot of guts to step in and say something. Even if she didn't take the chance to get help, you know you tried and that's important. I think it's when we don't step in during times lie that that we really regret it. Thanks for commenting! And I felt like this dress was a little forgiving in the center there. I need forgiveness there. LOL!! Thank you! I've posted about this before but it still remains my biggest step outside my comfort zone. When I was 14, I lived in Mexico as an exchange student. I was a shy girl from a little town in Michigan who spoke no Spanish when I flew to Mexico City to live with a family who spoke very little English. Only the father was fluent in English. My first night in their home, I cried myself to sleep because I was so homesick and out of my element. By the end of my three-month stay, I was speaking fluent Spanish and I cried myself silly when I had to say good-bye to the family (and I mean the whole family - parents, siblings, cousins, grandparents, aunts, and uncles) who came to the airport with us when I left to fly back to the U.S.
Oh wow, PJ!! What an amazing adventure!! I can't imagine doing something like that. It sounds like you learned so much! Do you still keep in touch? Like Marnee, I would like to know if you have been able to keep in touch with the family? What a wonderful experience! I kept in touch for a number of years. One of my younger brothers went to Mexico City with his high school band ten years later and my exchange family rolled out the red carpet for him and a few of his friends. We kept in touch for many years. Sorry, hit enter too soon. They moved, I moved, and, sadly, we lost touch over the years. I completely understand how that works. :) But, the world is small. You never know when you'll meet again. Going on Tower of Terror at Disney. I went on that ride! I'll admit, I have no desire to do it again. LOL!! *shivers* Ugh, bathing suits. Yeah, definitely not comfortable. LOL! I used to be that way. Turning 60 was strangely liberating and now I really don't care. I figure I'll never see most of those people again anyway. I don't like being the centre of attention, so standing up to speak in front of a packed conference room just about gave me a heart attack. Oh! Public speaking can be so difficult. I've heard the whole, "picture them in their underpants" advice, but nothing ever helps ease having all those eyes on me. Thank you for having me! I had a great time! Happy reading everyone!